Let’s talk about DNS. After all, what could go wrong? It’s just cache invalidation and naming things . The good stuff in this post is in the middle, so feel free to scroll down to “The Dyn Attack” if you want to get straight into the meat and potatoes of this blog post. DNS had its moment in the spotlight in October 2016, with a major Distributed Denial of Service (DDos) attack launched against Dyn , which affected the ability for Internet users to connect to some of their favourite websites, such as Twitter, CNN, imgur, Spotify, and literally thousands of other sites. But for most systems administrators or website operators, DNS is mostly kept in a little black box, outsourced to a 3rd party, and mostly forgotten about. And, for the most part, this is the way it should be. But as you start to grow to 1.3+ billion pageviews a month with a website where performance is a feature, every little bit matters. In this post, I’m going to explain some of the decisions we’ve made around DNS in the past, and where we’re going with it in the future. I will eschew deep technical details and gloss over low-level DNS implementation in favour of the broad strokes. So first, a bit of history: In the beginning, we ran our own DNS on-premises using artisanally crafted zone files with BIND. It was fast enough when we were doing only a few hundred million hits a month, but eventually hand-crafted zonefiles were too much hassle to maintain reliably. When we moved to Cloudflare as our CDN, their service is intimately coupled with DNS, so we demoted our BIND boxes out of production and handed off DNS to Cloudflare. From this list of 10 providers, we did our initial investigations into their service offerings, and started eliminating services that were either not suited to our needs, outrageously expensive, had insufficient SLAs, or didn’t offer services that we required (such as a fully featured API). 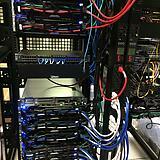 Then we started performance testing. We did this by embedding a hidden iFrame on 5% of the visitors to stackoverflow.com, which forced a request to a different DNS provider. We did this for each provider until we had some pretty solid performance numbers. Using some basic analytics, we were able to measure the real-world performance, as seen by our real-world users, broken down into geographical area. 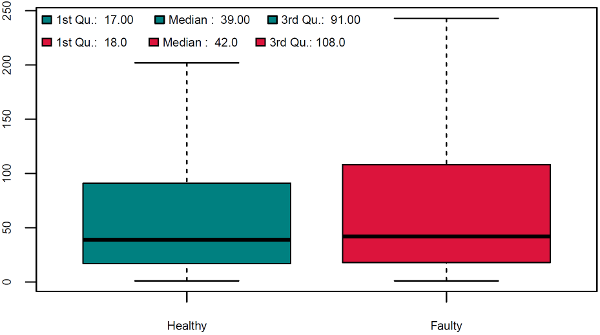 We built some box plots based on these tests which allowed us to visualise the different impact each provider had. You can see that Hurricane Electric had a quarter of requests return in < 16ms and a median of 32ms, with the three “cloud” providers (Azure, Google Cloud DNS and Route 53) being slightly slower (being around 24ms first quarter and 45ms median), and DNS Made Easy coming in 2nd place (20ms first quarter, 39ms median). 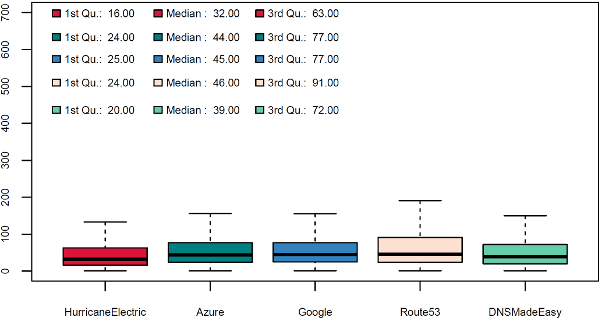 Here you can see that Route 53, DNS Made Easy and Azure all have healthy 1st quarters, but Hurricane Electric and Google have very poor 1st quarters. Try to remember this, as this becomes important later on. 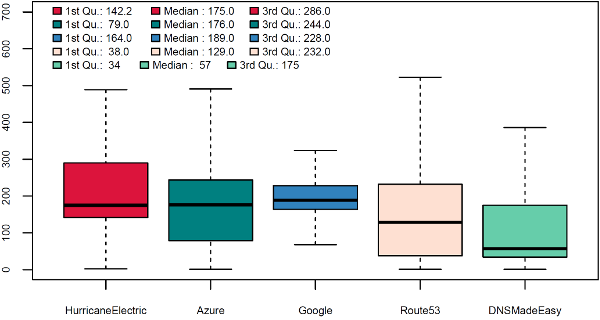 Here we can see Hurricane Electric, Route 53 and Azure being favoured, with Google and DNS Made Easy being slower. 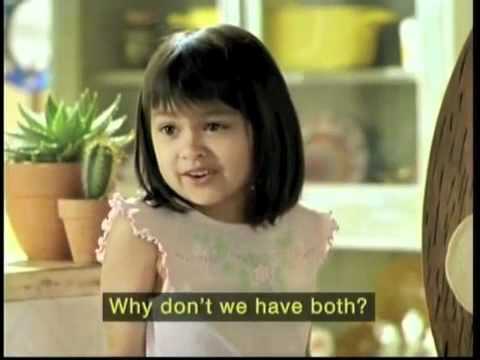 So how do you reach a decision about which DNS provider to choose, when your main goal is performance? It’s difficult, because regardless of which provider you end up with, you are going to be choosing a provider that is sub-optimal for part of your audience. You know what would be awesome? 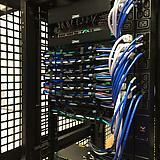 If we could have two DNS providers, each one servicing the areas that they do best! Thankfully this is something that is possible to implement with DNS. However, time was short, so we had to put our dual-provider design on the back-burner and just go with a single provider for the time being. Our initial rollout of DNS was using Amazon Route 53 as our provider: they had acceptable performance figures over a large number of regions and had very effective pricing (on that note Route 53, Azure DNS, and Google Cloud DNS are all priced identically for basic DNS services). Roll forwards to October 2016. 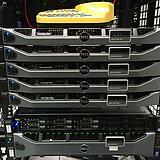 Route 53 had proven to be a stable, fast, and cost-effective DNS provider. We still had dual DNS providers on our backlog of projects, but like a lot of good ideas it got put on the back-burner until we had more time. Then the Internet ground to a halt. The DNS provider Dyn had come under attack, knocking a large number of authoritative DNS servers off the Internet, and causing widespread issues with connecting to major websites. All of a sudden DNS had our attention again. 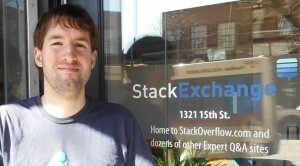 Stack Overflow and Stack Exchange were not affected by the Dyn outage, but this was pure luck. What is the performance impact for our users in having multiple DNS providers, when both providers are working properly? What is the performance impact for our users if one of the providers is offline? What is the best number of nameservers to be using? 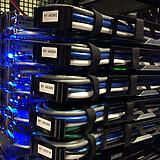 How are we going to keep our DNS providers in sync? These were pretty serious questions – some of which we had hypothesis that needed to be checked and others that were answered in the DNS standards, but we know from experience that DNS providers in the wild do not always obey the DNS standards. We did this simply by listing Name Servers from both providers in our domain registration (and obviously we set up the same records in the zones for both providers). Our 3rd quarters are measurably slower (the not-so obvious one). You cannot add to, remove, or modify the records in the automatically created NS record set at the zone apex (name = “@”). The only change that’s permitted is to modify the record set TTL. These NS records are what your DNS provider says are authoritative DNS servers for a given domain. It’s very important that they are accurate and correct, because they will be cached by clients and DNS resolvers and are more authoritative than the records provided by your registrar. Without going too much into the actual specifics of how DNS caching and NS records work (it would take me another 2,500 words to describe this in detail), what would happen is this: Whichever DNS provider you contact first would be the only DNS provider you could contact for that domain until your DNS cache expires. If Azure is contacted first, then only Azure’s nameservers will be cached and used. This defeats the purpose of having multiple DNS providers, as in the event that the provider you’ve landed on goes offline, which is roughly 50:50, you will have no other DNS provider to fall back to. So until Azure adds the ability to modify the NS records in the apex of a zone , they’re off the table for a dual-provider setup. What the third quarter represents here is the impact of latency on DNS. You’ll notice that in the results for ExDNS (which is the internal name for our on-premises BIND servers) the box plot is much taller than the others. This is because those servers are located in New Jersey and Colorado – far, far away from where most of our visitors come from. So as expected, a service with only two points of presence in a single country (as opposed to dozens worldwide) performs very poorly for a lot of users. So our choices were narrowed for us to Route 53 and Google Cloud, thanks to Azure’s lack of ability to modify critical NS records. 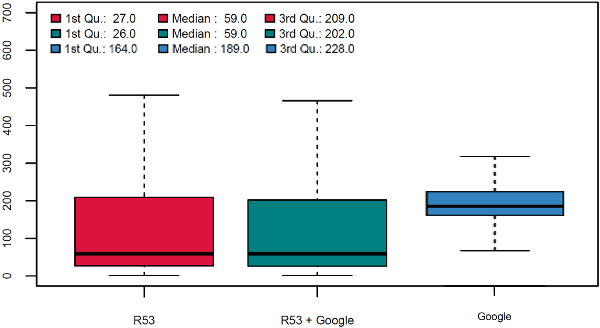 Thankfully, we have the data to back up the fact that Route 53 combined with Google is a very acceptable combination. 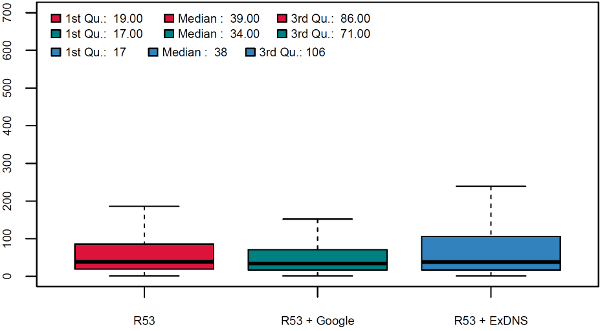 See how Google on its own performed very poorly in NZ (its 1st quarter is 164ms versus 27ms for Route 53)? 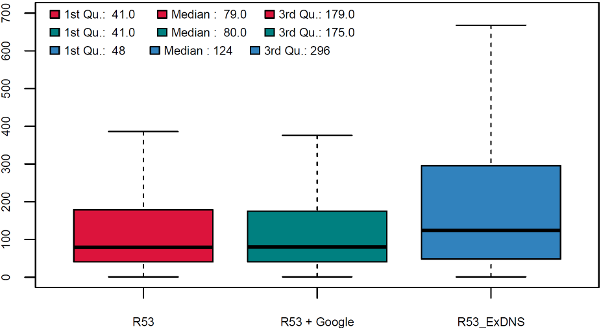 However, when you combine Google and Route 53 together, the performance basically stays the same as when there was just Route 53. Why is this? Well, it’s due to a technique called Smooth Round Trip Time. Basically, DNS resolvers (namely certain version of BIND and PowerDNS) keep track of which DNS servers respond faster, and weight queries towards those DNS servers. This means that the faster provider should be skewed to more often than the slower providers. There’s a nice presentation over here if you want to learn more about this. The short version is that if you have many DNS servers, DNS cache servers will favour the fastests ones. 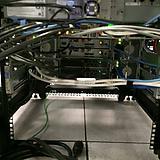 As a result, if one provider is fast in Auckland but slow in London, and another provider is the reverse, DNS cache servers in Auckland will favour the first provider and DNS cache servers in London will favor the other. This is a very little known feature of modern DNS servers but our testing shows that enough ISPs support it that we are confident we can rely on it. 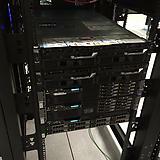 This is where having some on-premises DNS servers comes in very handy. What we can essentially do here is send a sample of our users to our on-premises servers, get a baseline performance measurement, then break one of the servers and run the performance measurements again. We can also measure in multiple places: We have our measurements as reported by our clients (what the end user actually experienced), and we can look at data from within our network to see what actually happened. 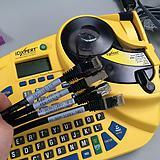 For network analysis, we turned to our trusted network analysis tool, ExtraHop. This would allow us to look at the data on the wire, and get measurements from a broken DNS server (something you can’t do easily with a pcap on that server, because, you know. It’s broken). Blue and brown are the two different, healthy DNS servers. As you can see, there’s a very even 50:50 split in request volume. Because both of the servers are located in the same datacenter, Smoothed Round Trip Time had no effect, and we had a nice even distribution – as we would expect. 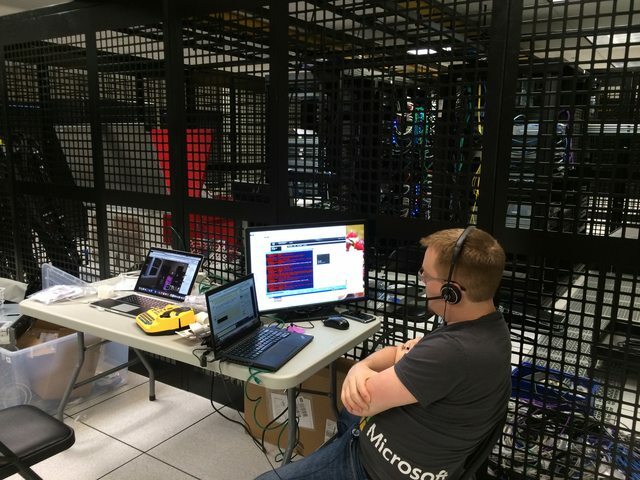 Now, what happens when we take one of those DNS servers offline, to simulate a provider outage? 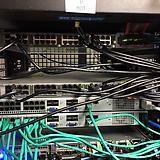 In this case, the blue DNS server was offline, and the brown DNS server was healthy. What we see here is that the blue, broken, DNS server received the same number of requests as it did when the DNS server was healthy, but the brown, healthy, DNS server saw twice as many requests. This is because those users who were hitting the broken server eventually retried their requests to the healthy server and started to favor it. So what does this look like in terms of actual client performance? What we see here is a substantial number of our visitors saw a performance decrease. For some it was minor, for others, quite major. This is because the 50% of visitors who hit the faulty server need to retry their request, and the amount of time it takes to retry that request seems to vary. You can see again a large increase in the long tail, which indicates that they are clients who took over 300 milliseconds to retry their request. What this means is that in the event of a DNS provider going offline, we need to pull that DNS provider out of rotation to provide best performance, but until we do our users will still receive service. A non-trivial number of users will be seeing a large performance impact. We felt that based on our use case, and the performance penalty we were willing to take, we would be listing a total of four nameservers – two from each provider. This may not be the right decision for those who have a web presence orders of magnitudes larger than ours, but Facebook provide two nameservers on IPv4 and two on IPv6. Twitter provides eight, four from Dyn and four from Route 53. Google provides 4. 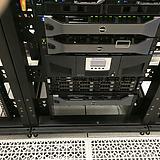 DNS has built in ways of keeping multiple servers in sync. You have domain transfers (IXFR, AXFR), which are usually triggered by a NOTIFY packet sent to all the servers listed as NS records in the zone. But these are not used in the wild very often, and have limited support from DNS providers. They also come with their own headaches, like maintaining an ACL IP Whitelist, of which there could be hundreds of potential servers (all the different points of presence from multiple providers), of which you do not control any. You also lose the ability to audit who changed which record, as they could be changed on any given server. So we built a tool to keep our DNS in sync. We actually built this tool years ago, once our artisanally crafted zone files became too troublesome to edit by hand. The details of this tool are out of scope for this blog post though. If you want to learn about it, keep an eye out around March 2017 as we plan to open-source it. The tool lets us describe the DNS zone data in one place and push it to many different DNS providers. The biggest takeaway from all of this, is that even if you have multiple DNS servers, DNS is still a single point of failure if they are all with the same provider and that provider goes offline. Until the Dyn attack this was pretty much “in theory” if you were using a large DNS provider, because until first the successful attack no large DNS provider had ever had an extended outage on all of its points of presence. However, implementing multiple DNS providers is not entirely straightforward. There are performance considerations. 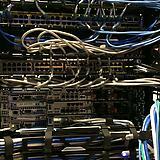 You need to ensure that both of your zones are serving the same data. There can be such a thing as too many nameservers. Lastly, we did all of this whilst following DNS best practices. We didn’t have to do any weird DNS trickery, or write our own DNS server to do non-standard things. When DNS was designed in 1987, I wonder if the authors knew the importance of what they were creating. I don’t know, but their design still stands strong and resilient today. 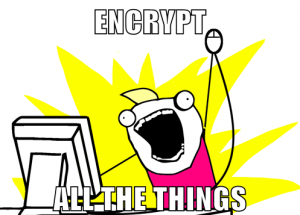 Let’s talk about encryption. Specifically, HTTPS encryption. If you’ve been following any of the U.S. election debates, encryption is a topic that the politicians want to talk about – but not in the way that most of us would like. And it’s not just exclusive to the U.S. – the U.K. is proposing banning encrypted services, Australia is similar. If you’re really into it, you can get information about most countries cryptography laws . But one thing is very clear – if your traffic is not encrypted, it’s almost certainly being watched and monitored by someone in a government somewhere – this is the well publicised reason behind governments opposing widespread encryption. The NSA’s PRISM program is the most well known, which is also contributed to by the British and Australian intelligence agencies. Which is why when the EFF announced their Let’s Encrypt project (in conjunction with Mozilla, Cisco, Akamai and others), we thought it sounded like a great idea. Be open. Make a platform and a standard that anyone can use and build on. The objective of Let’s Encrypt and the ACME protocol is to make it possible to set up an HTTPS server and have it automatically obtain a browser-trusted certificate, without any human intervention. Get your web server up and running, as per normal, on HTTP. You need to renew the certificate in fewer than 90 days – so you then need to set up a scheduled task (cron job for Linux, scheduled task for Windows) to execute the renewal command for your platform (see your tool’s documentation for this). And that’s it. No copy/pasting your CSR into poorly built web interfaces, or waiting for the email to confirm the certificate to come through, or hand-building PEM files with certificate chains. No faxing documents to numbers in foreign countries. No panicking at the last minute because you forgot to renew your certificate. Free, unencumbered, automatically renewed, SSL certificates for life. 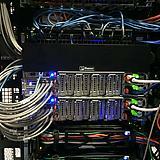 People running their own web servers. Let’s Encrypt requires the input of the server operator. 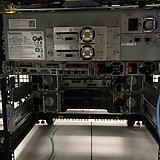 If you are not running your own web server, then this isn’t for you. Let’s Encrypt only validates that you have control over a given domain. It does not validate your identity or business or anything of that nature. As such you cannot get the green security bar that displays in the browser for places like banks or PayPal. However, these are mostly edge cases, and if you’re reading this blog post, then you will know if they apply to you or not. So let’s get out there and encrypt! “But hang on!”, I hear the eagle-eyed reader say. “Stack Overflow is not using SSL/TLS!” you say. And you would be partly correct. However, we have some slightly more complicated issues at hand. For details about our issues, see the great blog post by Nick Craver. It’s from 2013 and we have fixed many of the issues that we were facing back then, but there is still some way to go. However, all our signup and login pages however are delivered over HTTPS, and you can switch to HTTPS manually if you would prefer – for most sites. So how do you get started? If you have a debian-based Apache server, then grab the Let’s Encrypt tool and go! If you’re on a different platform, then check the list of pre-build clients above, or take a look at a recent comparison of the most common *nix scripts. Addendum: Michael Hampton pointed out to me that Fedora ships with the Let’s Encrypt package as a part of their distribution and is also in EPEL if you’re on RedHat, CentOS or another distribution that can make use of EPEL packages. Craig Peterson joined us back in February. We neglected to announce him in a timely manner because we’re horrible people. That’s OK though, as he’s now one of us. In contrast to the rest of the SRE team, Craig’s superpowers come in the form of development. He’s been focused on making our homegrown monitoring system, Bosun, better than all of the monitoring systems that have or will ever exist. 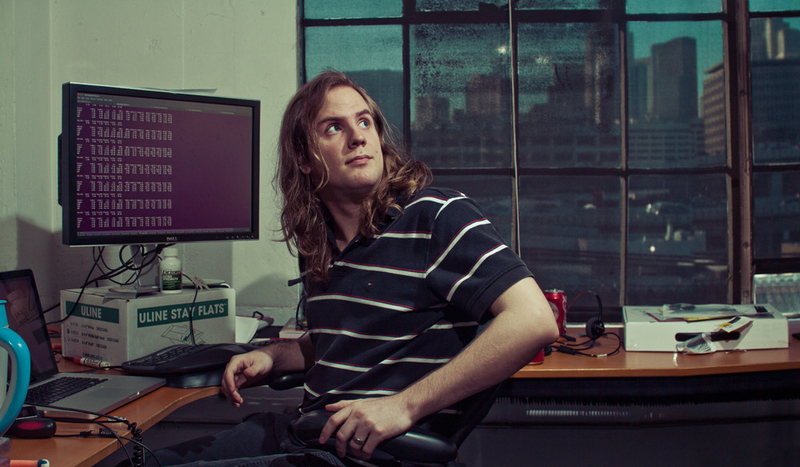 As Bosun is open source, you can practically hover over Craig’s shoulder and watch his day to day work. In fact, I encourage you to. I’m sure Craig won’t mind in the least. 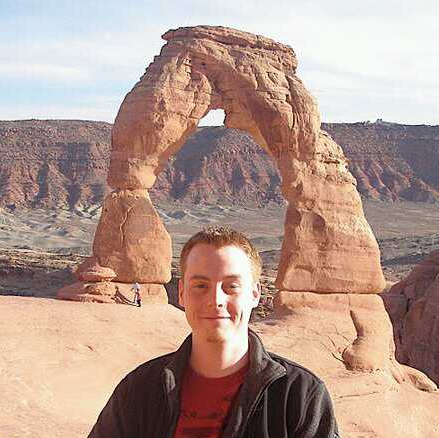 Craig hails from the state of Utah, making him our second Utahn (or Utahan) member of the SRE team. Mark Henderson joins us from the nation of OZ. He has regaled us with tales of drop bears and his strong feelings about the suitability of Foster’s as a consumable liquid. He has relocated nearly ten-thousand miles away to our New York office, and as such will finally get a slight taste of how December should feel. On the plus side, he will no longer have to contend with a smorgasbord of creatures which actively campaign to wipe out the human race. Mark has also served as a Server Fault moderator since 2011, and has acquired quite a bit of rep in service of the community. Please join me in welcoming Craig and Mark to the Site Reliability Engineering team! 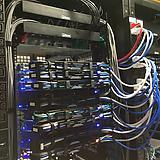 A few weeks ago we upgraded a lot of the core infrastructure in our New York (okay, it’s really in New Jersey now – but don’t tell anyone) data center. We love being open with everything we do (including infrastructure), and really consider it one of the best job perks we have. 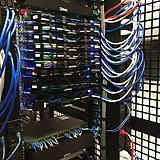 So here’s how and why we upgrade a data center. First, take a moment to look at what Stack Overflow started as. It’s 5 years later and hardware has come a long way. 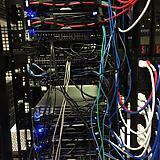 Up until 2 months ago, we hadn’t replaced any servers since upgrading from the original Stack Overflow web stack. 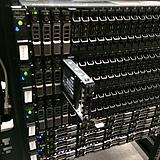 There just hasn’t been a need since we first moved to the New York data center (Oct 23rd, 2010 – over 4 years ago). We’re always reorganizing, tuning, checking allocations, and generally optimizing code and infrastructure wherever we can. We mostly do this for page load performance; the lower CPU and memory usage on the web tier is usually a (welcomed) side-effect. So what happened? We had a meetup. All of the Stack Exchange engineering staff got together at our Denver office in October last year and we made some decisions. 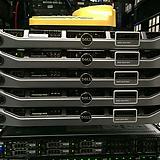 One of those decisions was what to do about infrastructure hardware from a lifecycle and financial standpoint. 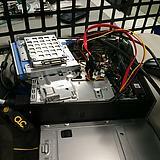 We decided that from here on out: hardware is good for approximately 4 years. 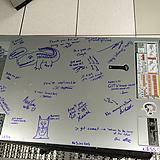 After that we will: retire it, replace it, or make an exception and extend the warranty on it. This lets us simplify a great many things from a management perspective, for example: we limit ourselves to 2 generations of servers at any given time and we aren’t in the warranty renewal business except for exceptions. We can order all hardware up front with the simple goal of 4 years of life and with a 4 year warranty. Why 4 years? It seems pretty arbitrary. Spoiler alert: it is. We were running on 4 year old hardware at the time and it worked out pretty well so far. Seriously, that’s it: do what works for you. 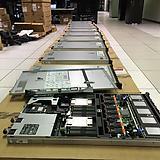 Most companies depreciate hardware across 3 years, making questions like “what do we do with the old servers?” much easier. For those unfamiliar, depreciated hardware effectively means “off the books.” We could re-purpose it outside production, donate it, let employees go nuts, etc. If you haven’t heard, we raised a little money recently. While the final amounts weren’t decided when we were at the company meetup in Denver, we did know that we wanted to make 2015 an investment year and beef up hardware for the next 4. Over the next 2 months, we evaluated what was over 4 years old and what was getting close. 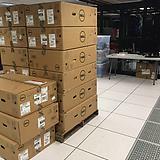 It turns out almost all of our Dell 11th generation hardware (including the web tier) fits these criteria – so it made a lot of sense to replace the entire generation and eliminate a slew of management-specific issues with it. Managing just 12th and 13th generation hardware and software makes life a lot easier – and the 12th generation hardware will be mostly software upgradable to near equivalency to 13th gen around April 2015. 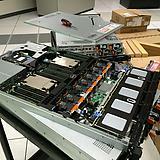 I know what you’re thinking: “Nick, how do you go about making such a fancy pile of servers?” I’m glad you asked. 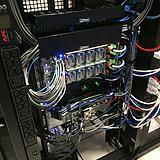 Here’s how a Stack Exchange infrastructure upgrade happens in the live data center. 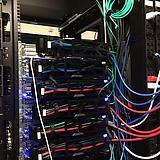 We chose not to failover for this upgrade; instead we used multiple points of redundancy in the live data center to upgrade it while all traffic was flowing from there. Day -3 (Thursday, Jan 22nd): Our upgrade plan was finished (this took about 1.5 days total), including everything we could think of. We had limited time on-site, so to make the best of that we itemized and planned all the upgrades in advance (most of them successfully, read on). You can find a read the full upgrade plan here. Day 0 (Sunday, Jan 25th): The on-site sysadmins for this upgrade were George Beech, Greg Bray, and Nick Craver (note: several remote sysadmins were heavily involved in this upgrade as well: Geoff Dalgas online from Corvallis, OR, Shane Madden, online from Denver, CO, and Tom Limoncelli who helped a ton with the planning online from New Jersey). Shortly before flying in we got some unsettling news about the weather. We packed our snow gear and headed to New York. Yeah, we were pretty excited too. Before we got started with the server upgrade though, we first had to fix a critical issue with the redis servers supporting the launching-in-24-hours Targeted Job Ads. These machines were originally for Cassandra (we broke that data store), then Elasticsearch (broke that too), and eventually redis. Curious? 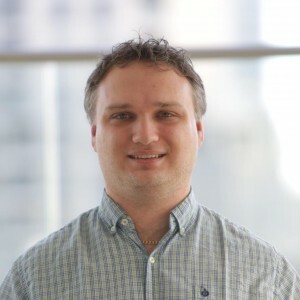 Jason Punyon and Kevin Montrose have an excellent blog series on Providence, you can find Punyon’s post on what broke with each data store here. The split with 2 half-full chassis give us 2 things: capacity to expand by double, and avoiding any single points of failure with the VM hosts. That was easy, right? 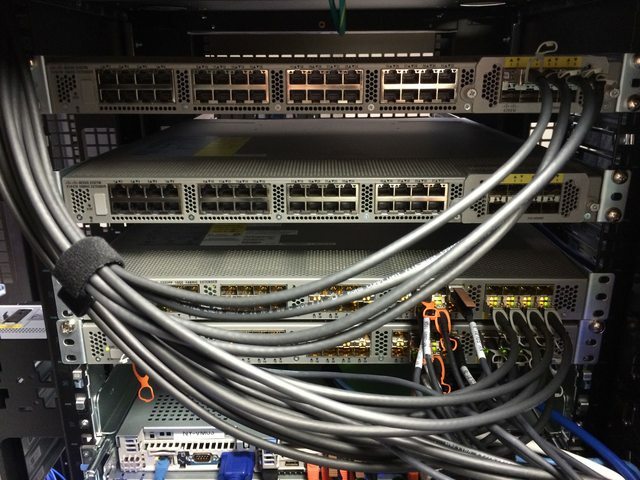 Well what we didn’t plan on was the network portion of the day, it turns out those IO Aggregators in the back are pretty much full switches with 4 external 10Gbps ports and 8 internal 10Gbps (2 per blade) ports each. Once we figured out what they could and couldn’t do, we got the bonding in place and the new hosts spun up. It’s important to note here it wasn’t any of the guys in the data center spinning up this VM architecture after the network was live. We’re setup so that Shane Madden was able to do all this remotely. 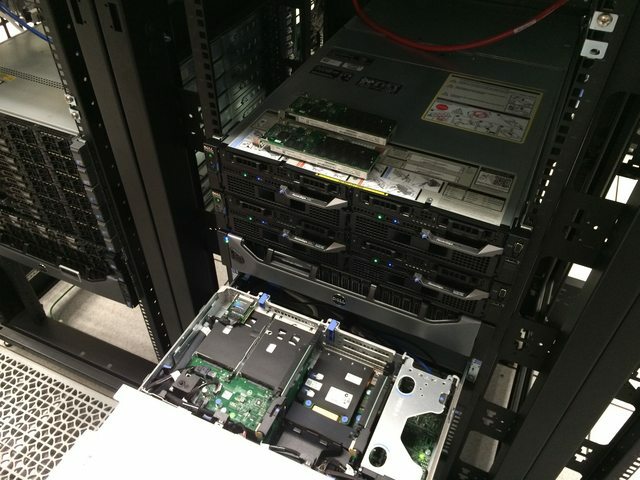 Once he had the new NY-VM01 & 02 online (now blades), we migrated all VMs over to those 2 hosts and were able to rip out the old NY-VM03-05 servers to make more room. As we ripped things out, Shane was able to spin up the last 2 blades and bring our new beasts fully online. The net result of this upgrade was substantially more CPU and memory (from 528GB to 3,072GB overall) as well as network connectivity. 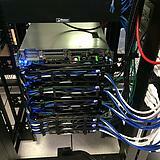 The old hosts each had 4x 1Gb (trunk) for most access and 2x 10Gb for iSCSI access to the SAN. 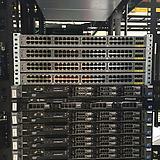 The new blade hosts each have 20Gb of trunk access to all networks to split as they need. 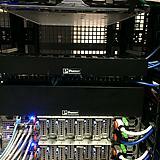 Of note here: the NY-UTIL02 utility server has a lot of drive bays so we could install 8x Samsung 840 Pros in a RAID 0 in order to restore and test the SQL backups we make every night. 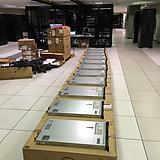 It’s RAID 0 for space because all of the data is literally loaded from scratch nightly – there’s nothing to lose. An important lesson we learned last year was that the 840 Pros do not have capacitors in there and power loss will cause data loss if they’re active since they have a bit of DIMM for write cache on board. 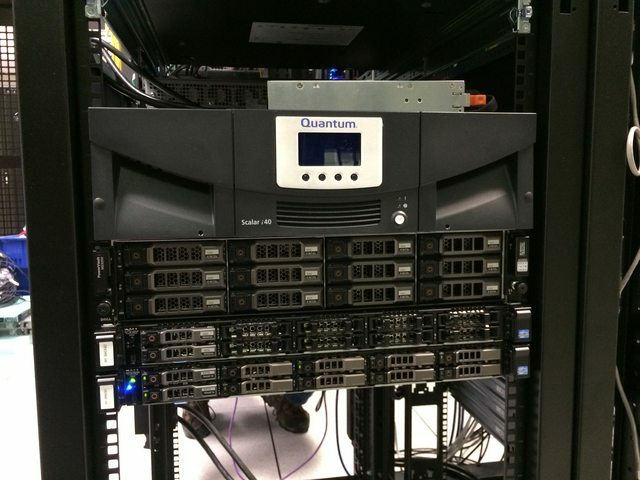 Given this info – we opted to stick some Intel S3700 800GB drives we had from the production SQL server upgrades into our NY-DEVSQL01 box and move the less resilient 840s to this restore server where it really doesn’t matter. Okay, let’s snap back to blizzard reality. At this point mass transit had shut down and all hotels in (blizzard) walking distance were booked solid. Though we started checking accommodations as soon as we arrived on site, we had no luck finding any hotels. Though the blizzard did far less than predicted, it was still stout enough to shut everything down. So, we decided to go as late as we could and get ahead of schedule. To be clear: this was the decision of the guys on site, not management. At Stack Exchange employees are trusted to get things done, however they best perceive how to do that. It’s something we really love about this job. 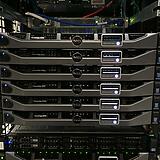 If life hands you lemons, ignore those silly lemons and go install shiny new hardware instead. 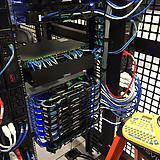 This is where we have to give a shout out to our data center QTS. These guys had the office manager help us find any hotel we could, set out extra cots for us to crash on, and even ordered extra pizza and drinks so we didn’t go starving. This was all without asking – they are always fantastic and we’d recommend them to anyone looking for hosting in a heartbeat. After getting all the VMs spun up, the SAN configured, and some additional wiring ripped out, we ended around 9:30am Tuesday morning when mass transit was spinning back up. To wrap up the long night, this was the near-heart attack we ended on, a machine locking up at: Turns out a power supply was just too awesome and needed replacing. The BIOS did successfully upgrade with the defective power supply removed and we got a replacement in before the week was done. 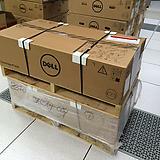 Note: we ordered a new one rather than RMA the old one (which we did later). 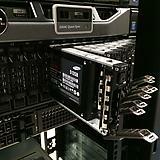 We keep a spare power supply for each wattage level in the data center, and try to use as few different levels as possible. 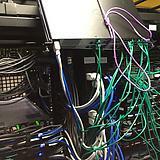 The web tier rebuilding gave us a chance to clean up some cabling. 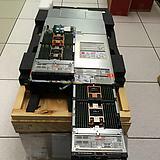 Remember those 2 SFP+ FEXes? 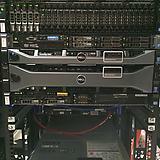 They’re almost empty: The last 2 items were the old SAN and that aging R510 NAS/SQL server. This is where the first major hiccup in our plan occurred. 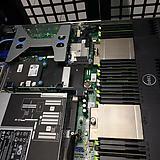 We planned to install a 3rd PCIe card in the backup server pictured here: We knew it was a Dell R620 10 bay chassis that has 3 half-height PCIe cards. 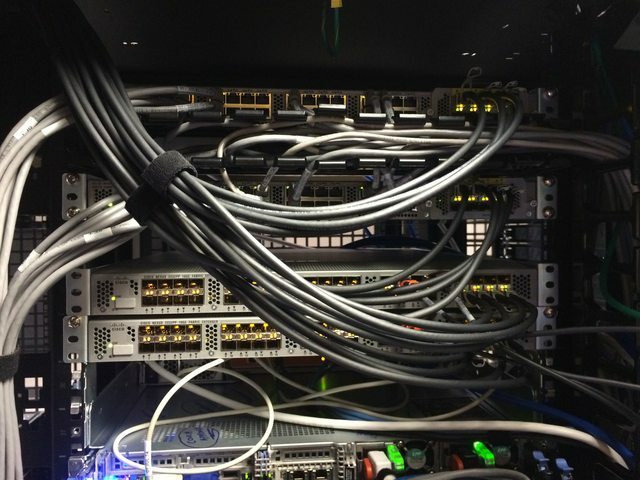 We knew it had a SAS controller for the existing DAS and a PCIe card for the SFP+ 10Gb connections it has (it’s in the network rack with the cores in which all 96 ports are 10Gb SFP+). 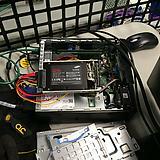 Oh hey look at that, it’s hooked to a tape drive which required another SAS controller we forgot about. Crap. Okay, these things happen. New plan. After 2 batches of web servers, cable cleanup, and network gear removal, we called it quits around 8:30am to go grab some rest. 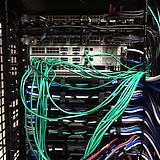 Things were moving well and we only had half the web tier, cabling, and a few other servers left to replace. To get an idea of the scale of hardware difference, the old web tier was Dell R610s with dual Intel E5640 processors and 48GB of RAM (upgraded over the years). The new web tier has dual Intel 2687W v3 processors and 64GB of DDR4 memory. 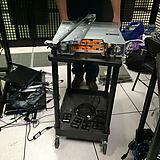 We re-used the same dual Intel 320 300GB SSDs for the OS RAID 1. 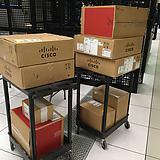 If you’re curious about specs on all this hardware – the next post we’ll do is a detailed writeup of our current infrastructure including exact specs. 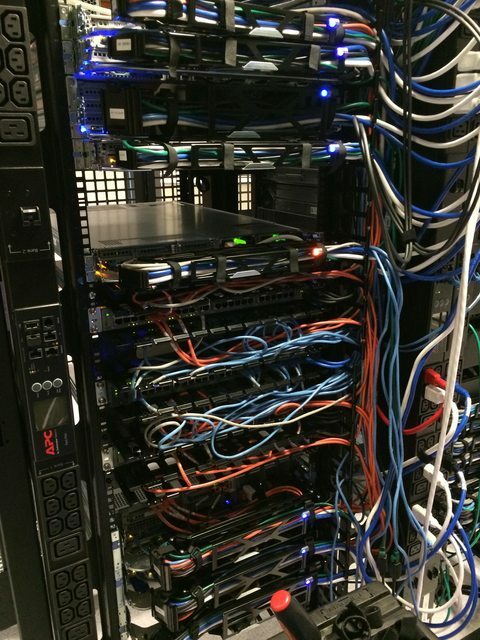 Day 4 (Thursday, Jan 29th): I picked a fight with the cluster rack, D. Much of the day was spent giving the cluster rack a makeover now that we had most of the cables we needed in. 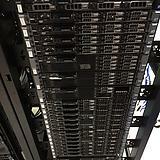 When it was first racked, the pieces we needed hadn’t arrived by go time. It turns out we were still short a few cat and power cables as you’ll see in the photos, but we were able to get 98% of the way there. 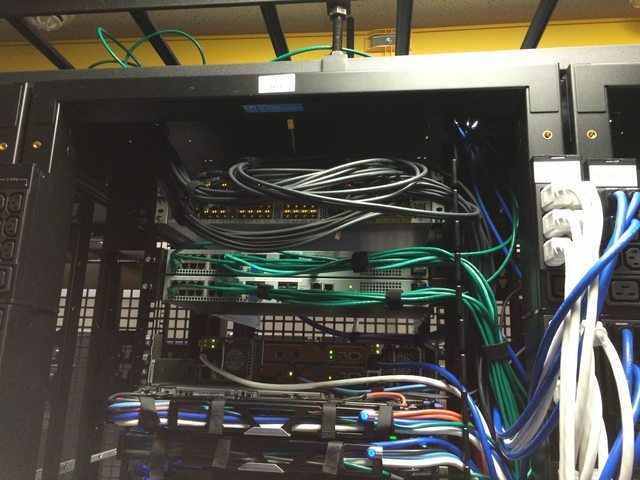 It took a while to whip this rack into shape because we added cable arms where they were missing, replaced most of the cabling, and are fairly particular about the way we do things. For instance: how do you know things are plugged into the right port and where the other end of the cable goes? Labels. Lots and lots of labels. We label both ends of every cable and every server on both sides. It adds a bit of time now, but it saves both time and mistakes later. 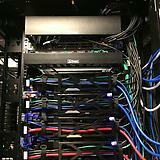 It’s not perfect since we ran out of several cables of the proper color and length. We have ordered those and George will be tidying the last few bits up. I know what you’re thinking. 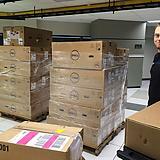 We don’t think that’s enough server eye-candy either. Here’s the full album of our move. And here’s the #SnowOps twitter stream which has a bit more. We’d be downright lying to say everything went smoothly. 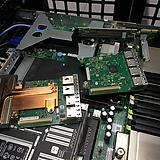 Hardware upgrades of this magnitude never do. Expect it. Plan for it. Allow time for it. 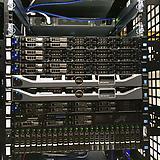 Remember when we upgraded to those new database servers in 2010 and the performance wasn’t what we expected? Yeah, that. 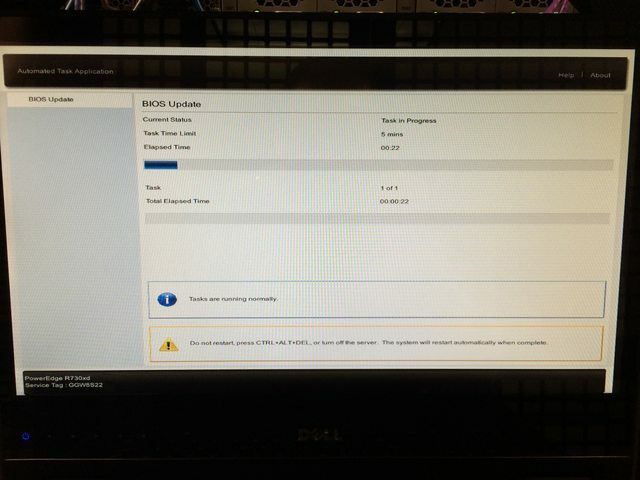 There is a bug we’re currently helping Dell track down in their 1.0.4/1.1.4 BIOS for these systems that seems to not respect whatever performance setting you have. With Windows, a custom performance profile disabling C-States to stay at max performance works. In CentOS 7, it does not – but disabling the Intel PState driver does. 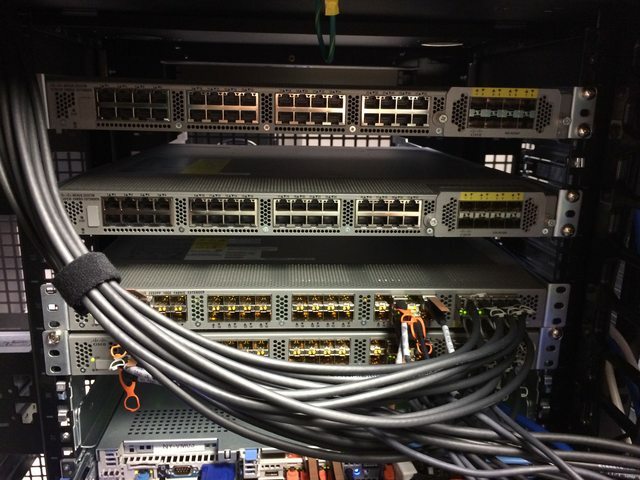 We have even ordered and just racked a minimal R630 to test and debug issues like this as well as test our deployment from bare metal to constantly improve our build automation. Whatever is at fault with these settings not being respected, our goal is to get that vendor to release an update addressing the issue so that others don’t get the same nasty surprise. We ran into an issue deploying our web tier with DSC getting locked up on a certain reboot thinking it needed a reboot to finish but coming up in the same state after a reboot in an endless cycle. We also hit issues with our deployment of the git client on those machines. 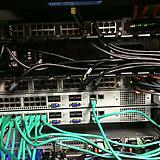 We learned that accidentally sticking a server with nothing but naked IIS into rotation is really bad. Sorry about that one. 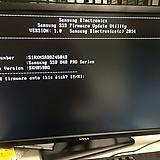 We learned that if you move the drives from a RAID array from an R610 to an R630 and don’t catch the PXE boot prompt, the server will happily boot all the way into the OS. 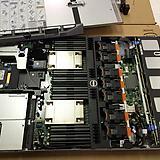 We learned the good and the bad of the Dell FX2 IOA architecture and how they are self-contained switches. 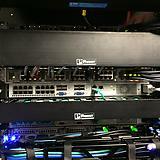 We learned the CMC (management) ports on the FX2 chassis are effectively a switch. We knew they were suitable for daisy chaining purposes. 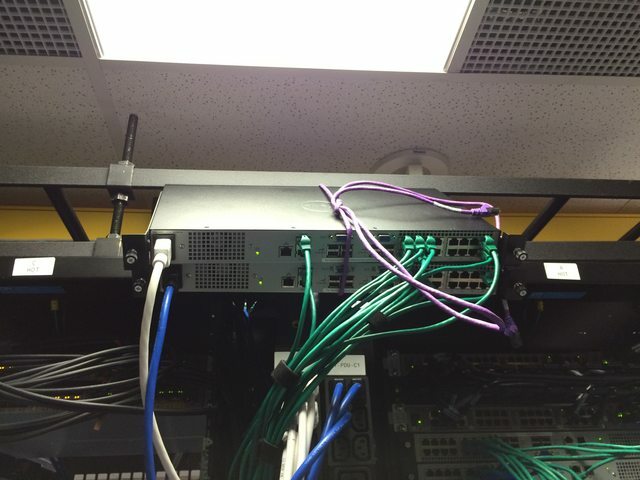 However, we promptly forgot this, plugged them both in for redundancy and created a switching loop that reset Spanning Tree on our management network. Oops. We learned the one guy on twitter who was OCD about the one upside down box was right. 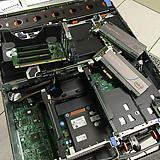 It was a pain to flip that web server over after opening it upside down and removing some critical box supports. We didn’t mention this was a charge-only cable. Wow, that one riled twitter up. We appreciate the #infosec concern though! We drastically underestimated how much twitter loves naked servers. It’s okay, we do too. 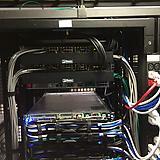 We learned that Dell MD1400 (13g and 12Gb/s) DAS (direct attached storage) arrays do not support hooking into their 12g servers like our R620 backup server. We’re working with them on resolving this issue. We learned Dell hardware diagnostics don’t even check the power supply, even when the server has an orange light on the front complaining about it. We learned that Blizzards are cold, the wind is colder, and sleep is optional. Here’s what the average render time for question pages looks like, if you look really closely you can guess when the upgrade happened: The decrease on question render times (from approx 30-35ms to 10-15ms) is only part of the fun. The next post in this series will detail many of the other drastic performance increases we’ve seen as the result of our upgrades. Stay tuned for a lot of real world payoffs we’ll share in the coming weeks. Does all this sound like fun? If you’re curious at all, please ask us questions here, Twitter, or wherever you’re most comfortable. Really. We love Q&A.